Revolutionary technologies like blockchain make possible a decentralised global economy. Currently, Bitcoin and many other cryptocurrencies are the playground of blockchain technology and the best way to utilise its prowess by wielding the power of a trustless decentralised economy as well as holding a stake in this revolution. 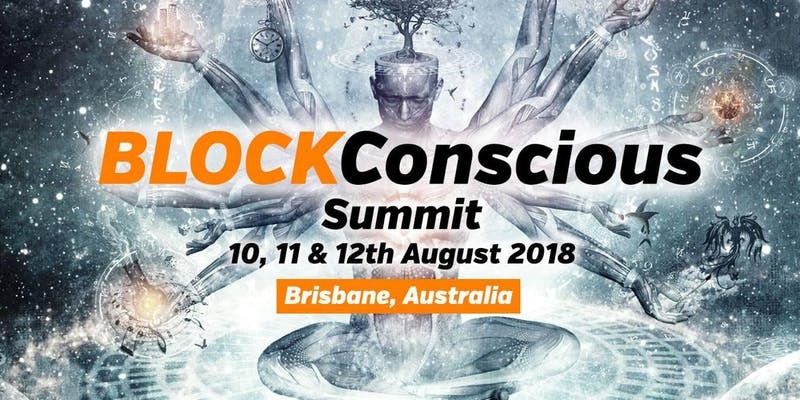 2018 BLOCKConcious Summit, a first-of-its-kind event in Brisbane from August 10th -12th. Tailor-made for beginners to workshop and learn everything they need to know about blockchain, where attendees will finish the day leaving with their first cryptocurrency wallets for storage, and the need-to-know knowledge on how to use exchanges to invest, trade, and hold this new digital asset. Will host some of the most influential names in blockchain, such as John McAfee, Kelly Slattery, Roger Ver, and many more. Over 40 speakers and presenters will be featured over three days in Brisbane’s ‘Bitcoin Valley’. Equipping participants with knowledge, clarity, and peace of mind, this summit stands to be a full value-for-money experience. Hosted by: CryptoMASTERMINDS is a community of crypto-conscious investors and professionals sharing cutting-edge crypto information to uphold community and empower the everyday person.